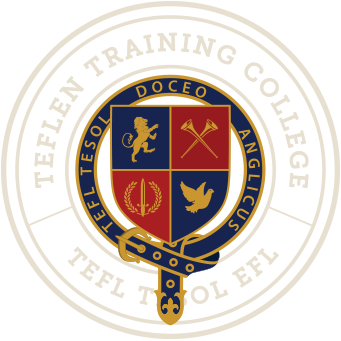 Teflen training college is a completely online learning facility, set up to provide high quality TEFL/TESOL training to people wishing to teach English in non-native speaking countries. The online campus is designed to provide access to students from around the world and to provide them with all the knowledge and support they need to begin a career in the ever-growing English language education industry. The course was developed in collaboration with industry professionals and seasoned EFL teachers. The goal of the course is to provide students with all of the necessary information a teacher should be equipped with before walking into a TEFL classroom environment. It provides not only explanation of professional metalanguage, but also focuses on grammatical awareness and real-life classroom management tips and teaching methods. The Teflen training college online learning environment was created by IT specialists to provide user-friendly access to the course, student progress and allow immediate connectivity between trainers and students around the world at any time. Even if a student needs to take longer to complete a course than expected the online college will allow them access for up to 12 months. Students will find a range of support methods and links to tips and tricks. The teachers at Teflen all have extensive English education experience. As they have been through the same process in their teaching history, they are able to provide assistance with any aspect of the course. All Teflen teachers have experienced a variety of teaching situations and environments. They are as valuable a resource as the course itself. Overall, Teflen training college represents a worldwide network of teachers and internet professionals dedicated to providing a straightforward and exciting course that we hope is just the first step to an exciting new career as an international English language education provider. All the staff at Teflen wish you all the best in your studies!